The Grafton Land Trust, Inc. allows mountain biking on all of its parcels (except the Williams Preserve CR). 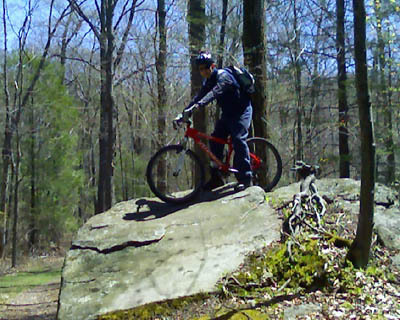 The Trust's large properties have great networks of trails that are fun to ride on mountain bikes. Refer to the Trail Maps to find the trails in your neighborhood. Watch our Mud Season Notice page for when to stay off trails to avoid damaging themduring mud season, and also to learn more about trail stewardship during muddy periods.